Sergeant Marjory Moyo, the female Police officer who was run over by a speeding mini bus driver in February this year, has expressed surprise after being informed that she has been promoted. According to Nicky Shabolyo, the First Secretary at Zambia’s High Commission to South Africa, Sergeant Moyo says she would have loved to celebrate her promotion with dance to show how appreciative she was to the Government. Mr Shabolyo has stated that the female officer could not believe the news of her promotion and that she is profoundly grateful to Government for continuing to care for her and the family. “Is it true. I have just been getting stories and I hope it’s true. First it was my aunt who called me and then my brother also told me. Please tell me,” an excited Ms. Moyo pleaded. She said Government has been on her side from the time she met her calamity. “Look. They are here helping me. I don’t even know who is paying for my treatment and now they want to promote me. I am so happy,” said a jovial Ms. Moyo. 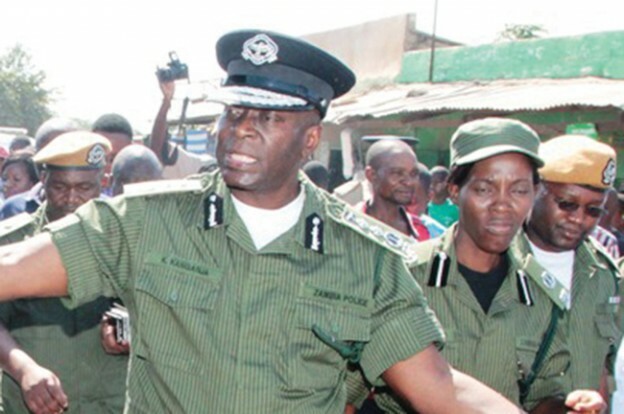 Sergeant Moyo is this week expected to undergo skin grafting. Ms. Moyo was flown to South Africa’s Milpark Hospital on 2nd March, 2016 for specialist treatment after she was run over by a driver at a road checkpoint in Marshlands on the Great East Road. Sergeant Moyo, a traffic officer at Ben Mwiinga Police Post in Lusaka’s PHI area, was run over by a minibus on 27th February and was left in a pool of blood. She was rushed to Levy Mwanawasa General Hospital where she was initially treated before being flown to South Africa for specialist treatment. After her plight was shown through videos and pictures on Facebook, this reporter embarked on a social media campaign using the hashtag #PromoteTheWomanConstable to raise awareness and urge the authorities to promote the young lady. Over a one month period, this reporter posted messages with the hashtag on Facebook, Twitter and on his blog. 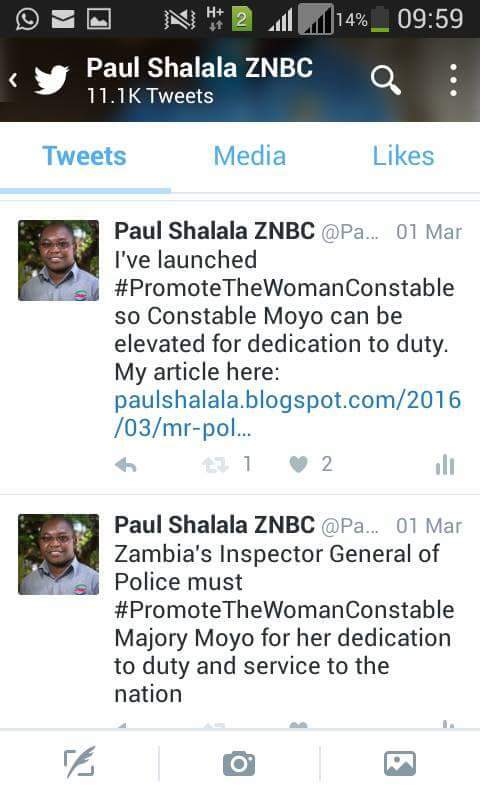 And yesterday Home Affairs Minister Davies Mwila promoted Ms Moyo from the rank of Constable to Sergeant after the successful #PromoteTheWomanConstable campaign. 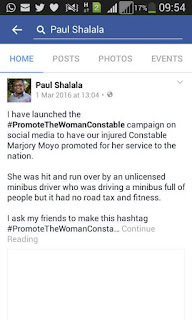 On 1st March, 2016 I launched the #PromoteTheWomanConstable social media campaign to attract the attention of the authorities and consider promoting Constable Marjory Moyo to Sergeant following her unfortunate accident where she was run over by a speeding mini bus in Lusaka. A few days earlier, Marjory in the company of other Police officers from Ben Mwiinga Police Post in PHI, mounted a checkpoint at Marshlands where they impounded a minibus but unfortunately, its driver decided to drive off and in the process ran over the young officer. Videos and still pictures showing her in a pool of blood went viral on social media as she was being transferred to a hospital at the back of a canter provided by a good Samaritan. She was later evacuated to South Africa where she is now being treated. Her condition was last time described as stable by Zambia’s envoy to South Africa Emmanuel Mwamba. In launching the #PromoteTheWomanConstable campaign, I wanted the authorities to appreciate the role this lady played in ensuring that our roads are rid of unlicenced and careless drivers. As a person who runs a minibus company, I know how careless and dangerous unlicenced drivers are and how they drive without regard. 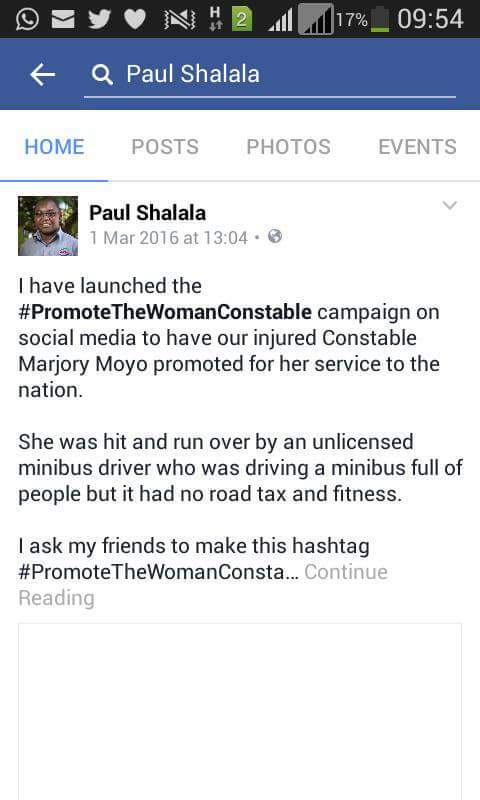 This campaign was to help Constable Moyo get state recognition and be treated as a hero who was injured in the line of duty. For a number of weeks, i kept posting the hashtag #PromoteTheWomanConstable on Facebook and Twitter to raise awareness. This morning as I was at the District Administration in Kitwe to replace my damaged National Registration Card, I met Home Affairs Minister Davies Mwila in the carpark just when he was about to get in his vehicle to go and officiate at the ground breaking ceremony for housing units in Kawama area. The Minister had just paid a courtesy call on Kitwe District Commissioner Chanda Kabwe as per procedure for any visiting government delegation. “Paul good morning. Am sorting out your issue today,” said the Minister. I didn’t know what the minister meant and i stood still watching him as he drove off. I remained shocked and went ahead to replace my NRC which i managed to do within 20 minutes. 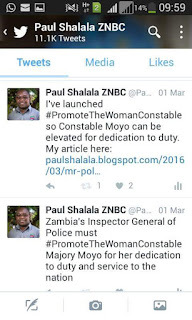 At around 11:30, my colleague Clinton Masumba from Flava FM who went to cover the groundbreaking ceremony, called me saying the Minister had recommended the promotion of Constable Marjory Moyo to sergeant. I jumped in excitement and to me, the words from the minister now made sense. The minister actually meant my social media campaign #PromoteTheWomanConstable when he met me in the carpark. Finally, I feel happy, our hero will now wear three chevrons on her shoulders instead of the blank epaulette she had. She was injured while trying to save people’s lives. On Twitter and Facebook when I kept calling for her promotion, I was met with serious opposition. People called the Police corrupt, uneducated and all sorts of things. But i kept my faith knowing that one day the young lady will be appreciated. But am now happy that my social media campaign has achieved its purpose: attracting the attention of the authorities. According to the rules in the Police, the Minister has powers to promote officers upto a certain level. Sergeant falls within that category while commissioners are only promoted by the President. 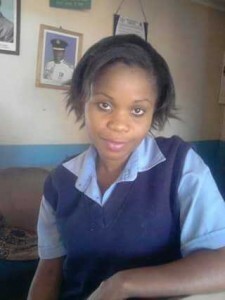 May I now take this privilege and rare honor to wish Sergeant Marjory Moyo a quick recovery and safe return home. 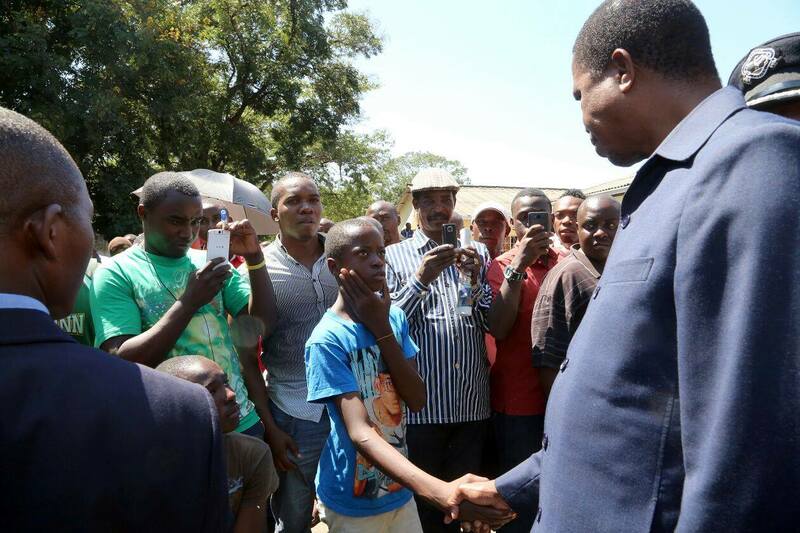 Zambian President Edgar Lungu has apologised to foreign nationals who have been displaced by recent riots where foreign owned shops were looted in the southern African nation’s capital Lusaka. Speaking when he addressed over 400 Burundian, Rwandese and Congolese nationals who have sought shelter at a Catholic Church hall in Lusaka, President Lungu said he would work with the United Nations High Commissioner for Refugees (UNHCR) to ensure that they return to their houses. "I take full responsibility on behalf of the Zambian people. I also assure you of full protection and security of you and your property. The senseless violence in some parts of Lusaka are, in our view, acts of criminality rather xenophobic. We will work with the United Nations, the Church and our communities to resolve the matter,” said President Lungu. Zambians have been trooping to the Catholic Church with donations of food and clothing to help the refugees whose number keeps swelling by the hour. 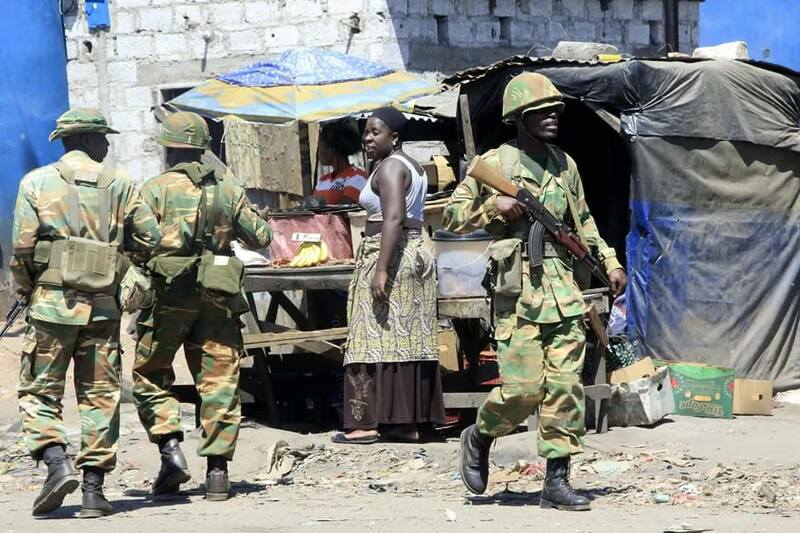 In the past three days, unruly residents of about seven townships in Lusaka attacked and looted goods from shops owned by foreigners mainly Burundians, Rwandese and Congolese. The riots were fuelled by rumours that foreign businessmen were behind the suspected ritual murders, a claim the Zambian authorities have vehemently denied. Initially, the riots started in northern township of Zingalume last week where six people had been killed and body parts removed in suspected ritual murders. As mutilated bodies were being discovered in the same area over the past four weeks, residents descended on nearby Police stations where they vented their anger and destroyed property. From Zingalume, the riots spread to George, Lilanda, Garden, Chawama, Ibex Hill, Kanyama and Mtendere townships which are mostly slums. The Zambia Police Service deployed about 2,000 officers across the city but failed to pacify the situation. 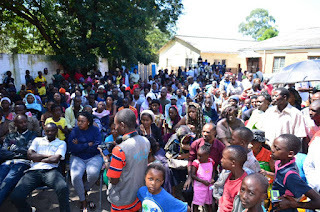 During a tour of some affected townships on Tuesday, Zambia’s Home Affairs Minister Davies Mwila disclosed that two Zambians were burnt to death during the riots and over 200 others were arrested for riotous behaviour. Mr Mwila also disclosed that eleven people had been arrested on suspicion of being behind the suspected ritual murders. He said among the eleven where two foreigners whose identities and countries of origin he would not disclose. “We arrested some suspects with some suspicious items which we want to subject to laboratory tests. We hope the tests will confirm whether those items are human parts or not,” said Rae Hamoonga, Zambia Police Service Deputy Spokesperson. 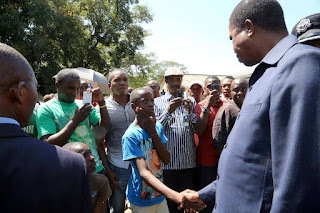 As the situation was getting out of hand on Wednesday, President Lungu deployed the much feared Zambia Army in the townships where anarchy had characterised the past three days. 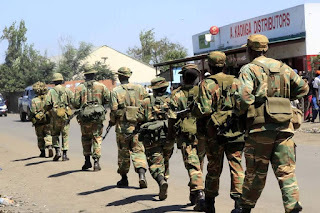 “I Edgar Chagwa Lungu, President of the Republic of Zambia and Commander-in-Chief of the Armed Forces, has issued a Special Operational Order to the security services to restore law and order in some parts of Lusaka. The order is specifically designed to stop the recent spate of ritual murders and the resultant rioting in some townships where irresponsible people spread inflammatory rumours against certain nationalities. The operational order will be reviewed tomorrow,” read a statement from State House. Within hours of the Zambia Army being deployed, peace was restored to the capital city and some foreign shops were re-opened on Thursday. Soldiers on foot patrols and in pick-up trucks have continued patrolling the city. The Zambia Army is rarely deployed in residential areas and its presence brings fear to most Zambians who tolerate Police officers and usually pelt them with stones during riots. 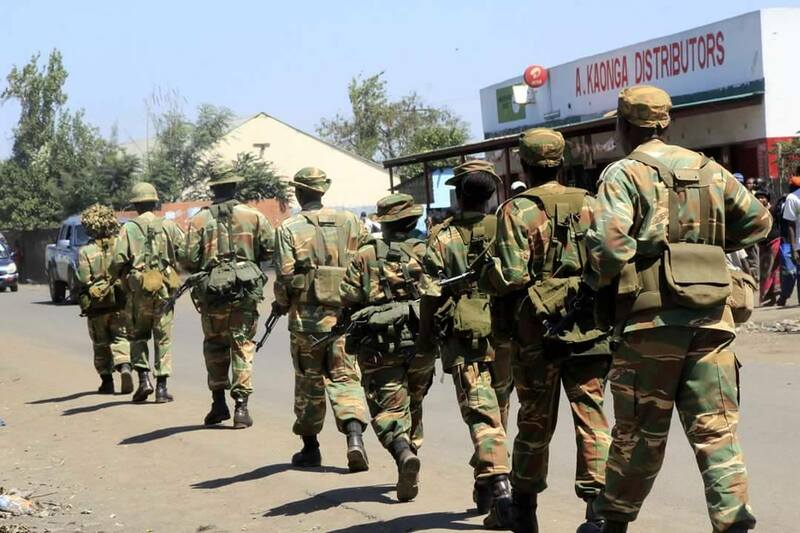 In Lilanda township, a group of soldiers in a pick-up truck where mobbed by slogan chanting residents while singing songs in praise of the army: ‘ama soldier besu……. Ama soldier besu’ (our soldiers….. our soldiers). This was in contrast with events of the last three days when residents fought running battles with Police officers who were responding with teargas. Burundians, Rwandese and Congolese refugees came to Zambia in the 1990s and thousands of them live in residential areas around Lusaka. Most of them own retail shops and have integrated into Zambian society despite not taking up Zambian citizenship. Despite the Rwandese being given an opportunity by the Zambian government to get citizenship, they have refused to get the Rwandese passport from their local embassy as a first step before getting Zambian citizenship, a process which is being spearheaded by the UNHCR. Some Rwandese national have even adopted local Zambian names and they speak fluent Bemba and Nyanja, two of the most widely spoken languages in Lusaka. In townships like Chawama, Burundians and Rwandese own more shops than Zambians. Their business prowess has over the past decade become the backbone of the local economies in the slums of Lusaka. It is this success in their retail business which has made these hardworking refugees to become enemies of some disgruntled elements in these areas, leading to false rumours of the foreigners being involved in the sale of human body parts. It may be unusual in some parts of Zambia to see women clad in the Arabic hijab attire but here in Nsama District of Northern Province, this is a common site. For the men, wearing the japar, a simple head dress is also part of the dressing here. According to local Muslim leaders, Islam has been a dominant force in Nsama for hundreds of years. But how did this religion come to this remote area? How come this small and remote district has managed to have 18 mosques and thousands of members? These are the questions I posed to local muslim leaders who know something about this topic. "Islam came with a muslim businessman by the name of Abdullah. He was very kind and taught people the goodness of Islam. This is why you are seeing that hundreds of people are joining the religion here," said Abdallah Bin Sleman the Amir of Nsama Mosque. But according to locals, Abdullah was actually a slave trader who bought slaves and transported them to the Tanzanian port of Dar es Salaam. However, non of the muslim leaders here agree that the slave trade in the 1800s brought Islam to Nsama. "Islam came with good people. These people taught the word of God and brought good to society. It is these good works that have attracted people to Allah and Islam. It is not true that Abdullah bought and sold slaves," said Sheikh Yahya John of Kabuta Mosque. The history of muslims in this area keeps changing depending on who is narrating it to you. But according to oral tradition, Islam came with some Tanzanians who were invited to help the local Tabwa people in the 1800s when they were under attack by the Bembas who were trying to conquer Tabwaland and extend the Chitimukulu’s chiefdom. "We had wars here. The Bembas were fighting to conquer us so that we can become their subjects. They had spears and bows and arrows but we had nothing," said Renwick Musonda, a local historian. He says because of the abundance fish in the many rivers and lakes in Nsama, the Bembas were interested in snatching the land so that it can be of benefit to their kingdom. 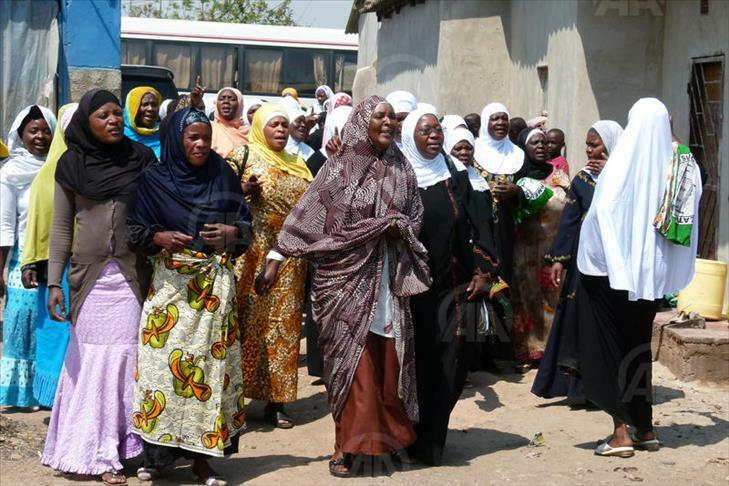 "We were almost defeated and we decided to invite our muslim friends in Tanzania who had guns. They fought with the Bembas and repulsed them." It is believed that after this victory, the Tabwa people allowed the Tanzanians to settle in Tabwaland and today, two sub-chiefs here have Tanzanian roots. "As a way of saying thank you, we allowed our muslim friends to stay. Thats how today we have two sub-chiefs with Tanzanian blood. They are now part of us. We freely marry each other and live together," said Jonas Musenge, another historian. But most young people in Nsama have accepted oral tradition as the best explanation of how Islam came to this region. They are taught from a tender age that the Bembas wanted to conquer Tabwaland due to its rich fish species found in several lakes, rivers and streams. "I was born here in Nsama and went to marry in Mporokoso where they used to laugh at us that we were defeated by the Bembas. Actually i explained to them that it was actually the Tabwas who defeated the Bembas with the help of the muslims who were better armed," said Jerian Kasankula, a local youth. 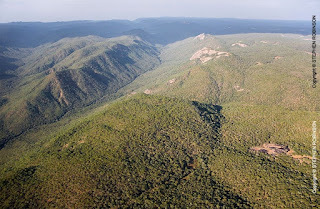 From oral tradition, it is also claimed that the hills that separate Bembaland from Tabwaland came to be known as Muchinga Escarpment because they helped protect the Tabwas from the conquering Bemba warriors. 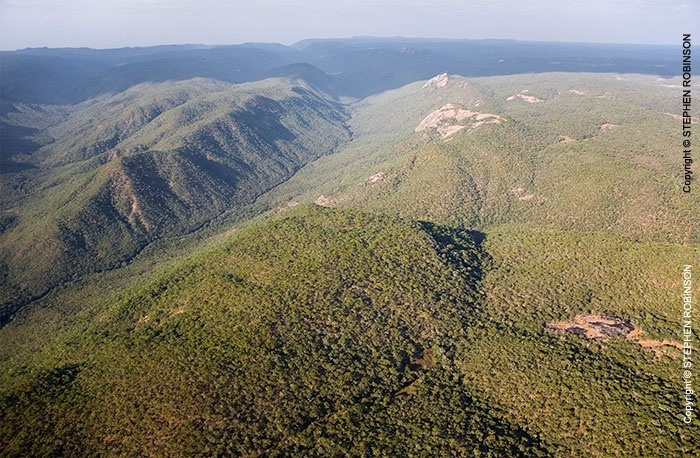 In Bemba, the word ukuchingilila means protection hence the name Muchinga. Despite having multiple explanations on the history of Islam in Nsama, one thing is for sure: Islam is here to stay and it has had a huge impact on society. People's ways of life has changed and their dressing has also been transformed. Zambia is constitutionally a christian nation but other religions are also allowed to flourish just like Islam is doing in Nsama District. 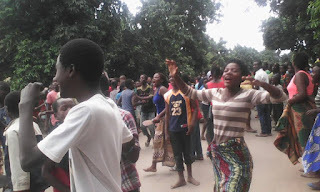 Tired of discovering mutilated dead bodies, some Lusaka residents today protested over what they term as lack of protection from the Zambia Police Service following the suspected ritual killings which have claimed six lives in the past four weeks. Residents of Chunga township took to the streets chanting anti-Police slogans and calling for the killers to be arrested and jailed. "We want these satanists to be arrested and killed. We have lost too many people and we cannot allow this to continue," said one of the protesters who identified himself as Chimwemwe. Today's protest was triggered by the discovery of a mutilated body of 30 year old Anthony Mwaba of George township which was lying in a pool of blood. His private parts, heart and ears were removed by his killers and his body was dumped 500 meters away from his house. 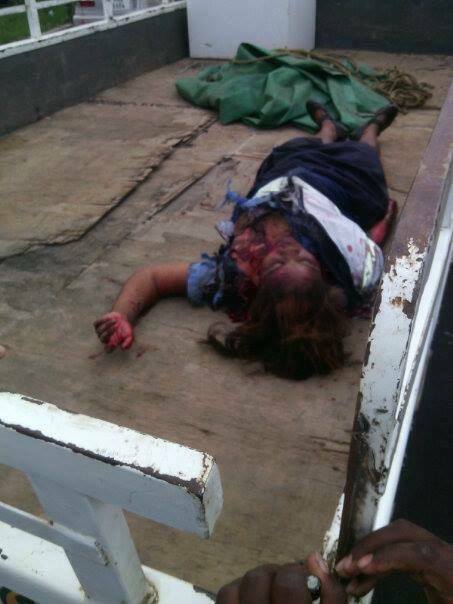 According to Zambia Police Deputy Spokesperson Rae Hamoonga, several body parts were missing from the body. "The body had no heart, both ears and private parts. We are making an earnest appeal to residents of George compound to remain calm and cooperate with the Police as we are working and trying with all legal means at our disposal to resolve this heinous crime as soon as possible," said Hamoonga. The current wave of suspected ritual killings started on 17th March this year when four bodies of men where discovered in an area called Paradise within George township. The four had their private parts and ears removed and this annoyed the residents who protested and burnt down a Police Post in the area forcing Police officers to run for their lives. A few days later, Inspector General of Police Kakoma Kanganja visited the area and pleaded with the residents not to take the law into their own hands. Mr Kanganja later offered a K50,000 reward for anyone who would provide information leading to the capture of the criminals. Since then, the Police has intensified patrols in the area but this has not deterred the killers. So far, Zingalume, Chunga, Lilanda and George townships are the areas where the killers are said to be terrorising residents. The total number of people who have been brutally murdered and have their body parts removed are six: four had their ears, hearts and private parts missing while two had only hearts missing. Five FM radio journalist Mike Sichula who has extensively covered the recent killings says two other bodies which were found in the area but had all body parts intact, are not in the Police tally for ritual murders. "There are only six confirmed ritual killings including today's. Those others were ruled out. There was the bar case where one was strangled and then the one who was found in his apartment," said Sichula. These killings have sent fear in the areas where bodies have been picked and residents are said to be getting indoors as early as 18:00hrs for fear of being the next victims. According to hearsay, the killers are either business people involved in the trade of body parts or are serial killers who are taking pride in killing people for the sake of killing. Suspected ritual killings are not new in Zambia. 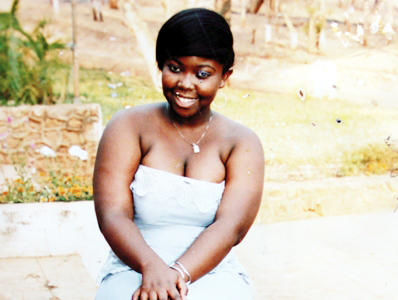 In July 2012, a 19 year old student at the National Institute for Public Administration in Lusaka, Ruth Mbandu, was brutally murdered and her naked body had its eyes and ears missing while her facial skin was peeled off. 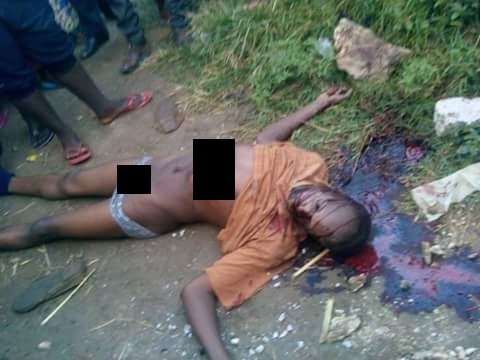 Her lifeless body was dumped in Emmasdale, an area which is three kilometers from Zingalume, the area where the current ritual murders are taking place. Four years later, Ruth's case is still before the courts of law and it has not yet been concluded. And TV2 reporter Patricia Mapiki, who has extensively covered murders in the suburbs of Lusaka, says the latest cases of suspected ritual murders actually started in October last year. "Paul, the killings in Zingalume started in October last year. Remember the 53 year old lady who was killed, then the albino, then another lady in February this year and then the four victims on 17th March," said Patricia. She points out that the pattern of these killings suggests that there is coordination. "What is worth noting is also that the bodies are dumped in the same area, raising suspicion that the slaughter is just in one area," she added. Police have so far not arrested anyone in connection with the killings and they have also not recovered the missing body parts. QG Africa Hotel LP, a Mauritius-based fund managed by QG Investments Africa Management Ltd, has bought the InterContinental Hotel in Lusaka. The hotel, which is widely considered a city landmark and the best hotel in Lusaka, was previously owned by Kingdom Hotel Investments who bought the hotel in 1996. Kingdom Investments is a wholly-owned subsidiary of the Saudi conglomerate Kingdom Holding Company chaired by Prince Alwaleed bin Talal. QG Africa Hotel LP has bought the multi-storey hotel at a gross consideration of USD 35.9 million. The transaction is believed to have been completed on 31 March 2016. InterContinental Hotel Lusaka is situated at a prime location, surrounded by government ministries, embassies and high cost residential areas in Longacres area of Lusaka . The 244-room hotel benefits from a strong image amongst international travellers and offers significant repositioning and expansion potential. Jean-Claude Bastos de Morais, Founder of Quantum Global says the hotel will soon be refurbished and and expanded. “I’m very pleased with this first acquisition of QG Africa Hotel LP. It underlines our commitment and investment strategy for the hotel sector in Sub-Saharan Africa. The InterContinental Lusaka is strongly established locally and will benefit from the planned refurbishment that will expand and reposition the asset, thereby generating value added returns for our investors,” said de Morais in a statement. According to analysts, strong economic growth supported by a more transparent and relatively stable political climate has been attracting an increasing number of international business travellers to Africa, while also boosting cross-regional business traveling. According to a statement from the African Press Organisation, QG Africa is a member of the Quantum Global group. It is a USD 500 million investment vehicle, which aims to capitalize on the emerging opportunities in the hospitality sector.